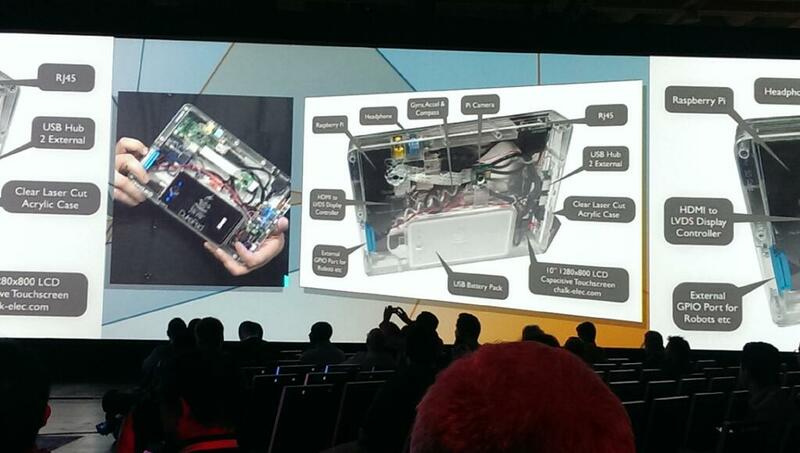 At the JavaOne technical keynote just now Richard and Jasper introduced the DukePad – a custom built tablet device powered by a Raspberry Pi and featuring a touch screen, camera, HDMI output, GPIO pins, and more. It is powered with Java and has a custom-built JavaFX user interface. 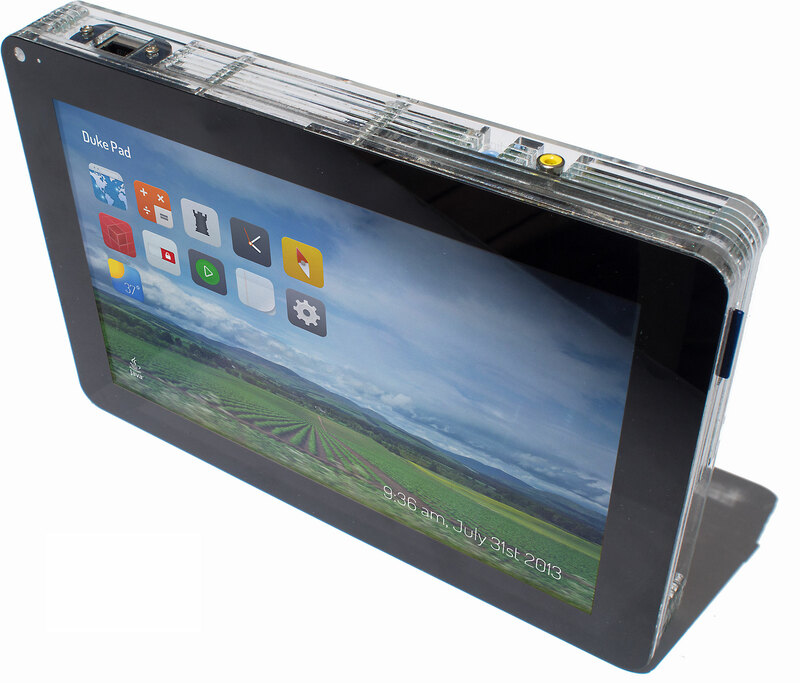 The DukePad is a Do-It-Yourself, make-at-home tablet computer based on the Raspberry PI and JavaSE Embedded 8. The plans and instructions for building the DukePad are available here, and we’re working with suppliers to make available pre-made kits that can be more easily assembled. The software on the DukePad uses Raspbian Linux as the operating system, and an OSGi-based JavaFX environment. Within this DukePad environment, apps are simple JavaFX OSGi Modules. Why do you build DukePad? What’s the reason for? We need JavaFX on the existing tablets running Android and iOS. Why build it? Education, innovation, independence from corporate-driven software, reduction of the price of entry-level computing (we don’t all live in affluent countries), freedom, independence from proprietary software, independence from slave labour, independence from corporate-driven censorship (think Apple), geekiness, desire to explore the intimate details of how computers work, … I could go on. To summaraise: because I want the opposite of an iPad. 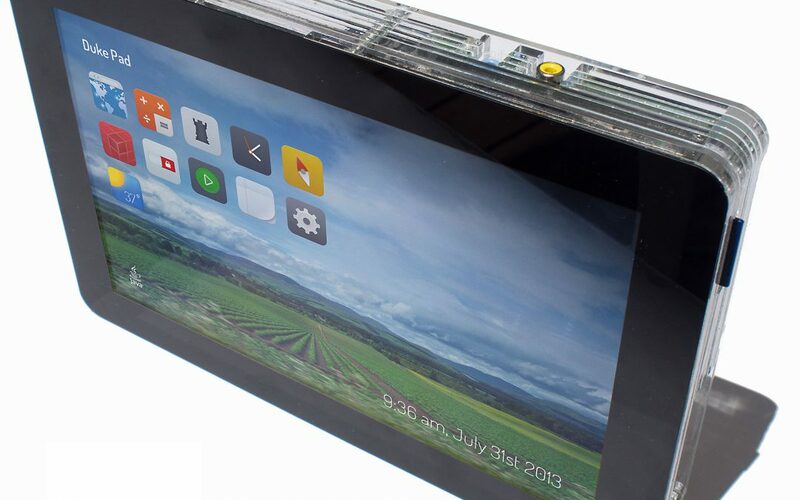 Sorry, but you can buy the opposite of an iPad for only 99$, it’s an Android tablet. So for me Rasp.PI and DukePad stuff is nothing else a “filler” until Oracle announces JavaFX for iOS and Android. Because the JavaFX community needs all the time and money to build a ready to use solution for JavaFX on smartphones. does anybody know if there is more information about building a DukePad available. Because the OpenJDK page only shows the used hardware but not how to assemble it.